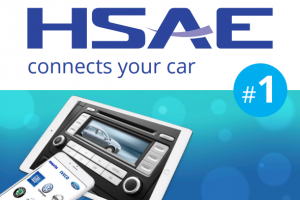 Hangsheng Technology GmbH in Berlin is a Research and Development Center for automotive connectivity and security. We provide platforms for connected vehicles with a focus on the disruptive technology of V2X communication. Infotainment products and control electronics are the main businesses of our mother company in China. Our International footprint ensures customer orientation and sets the base for our growth. Germany’s big recruiting and career fair for IT, business and engineering takes place from 14th to 16th May 2019 in Berlin. Meet us there! 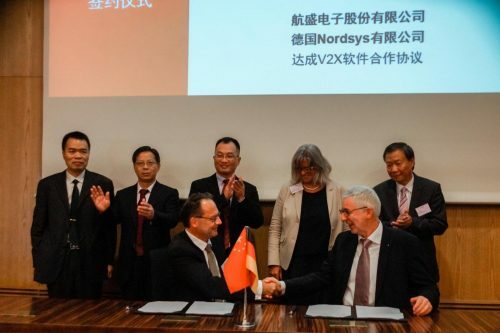 Hangsheng Technology GmbH, Berlin, and Nordsys GmbH, Braunschweig, have signed an extensive license agreement for V2X technology. In the future, Hangsheng’s new On Board Connectivity (OCU) platform will be equipped and shipped worldwide with the Nordsys V2X stack. The license agreement was signed on the occasion of a high-ranking delegation visit from the special economic zone Shenzhen, China, in the rooms of the IHK Cologne. Chinese enterprise investments in Germany have ramped up in recent years, with more and more Chinese companies setting up research and development centers in Germany. An example of this trend is Hangsheng. The Shenzhen-based mother company, which specializes in electronic products for automobiles, expanded its operations to Berlin five years ago. Its German office has now grown to 25 employees. On the occasion of Chinese Premier Li Keqiang’s visit to Berlin, the TV station GGTN broadcast a news report about our innovation cooperation platform. Our first newsletter gives a short introduction to the development of the company and its achievements.